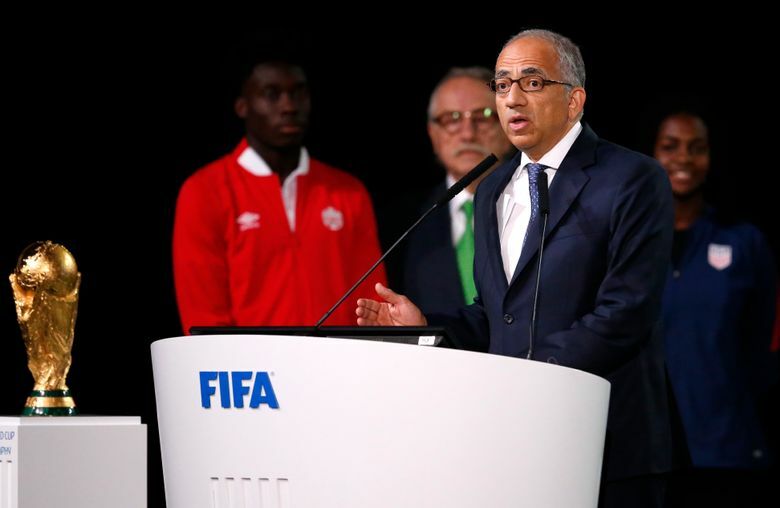 A joint bid between the United States, Canada and Mexico emerged triumphant in securing the rights to host the 2026 FIFA World Cup of soccer. The North American bid earned double the votes over Morocco. Seattle civic and sports leaders wasted little time Wednesday getting out in front of an issue looming as perhaps the city’s biggest hurdle in landing some FIFA World Cup 2026 games. 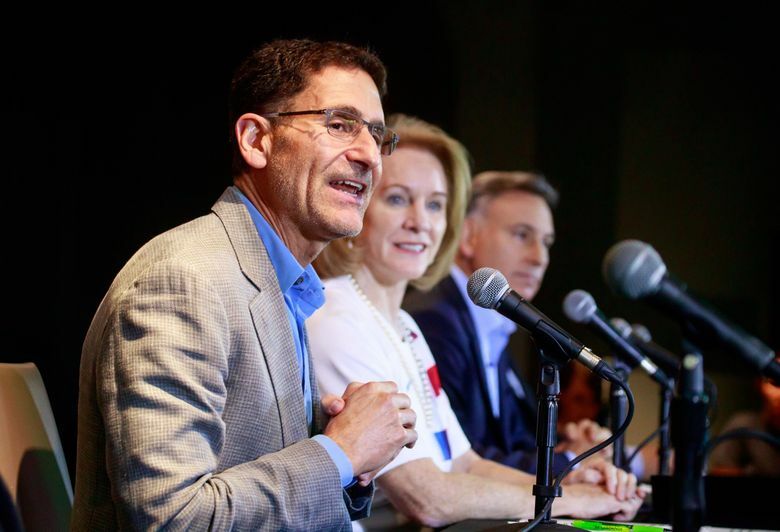 At an afternoon press conference featuring, among others, Sounders owner Adrian Hanauer, Seattle Mayor Jenny Durkan and King County Executive Dow Constantine, the talk quickly turned to the FieldTurf surface at CenturyLink Field. The field must be replaced by natural grass for the tournament as required by world soccer’s governing body FIFA, a potential deterrent in the selection process ahead of the list of host city candidates being narrowed from 23 to 16. 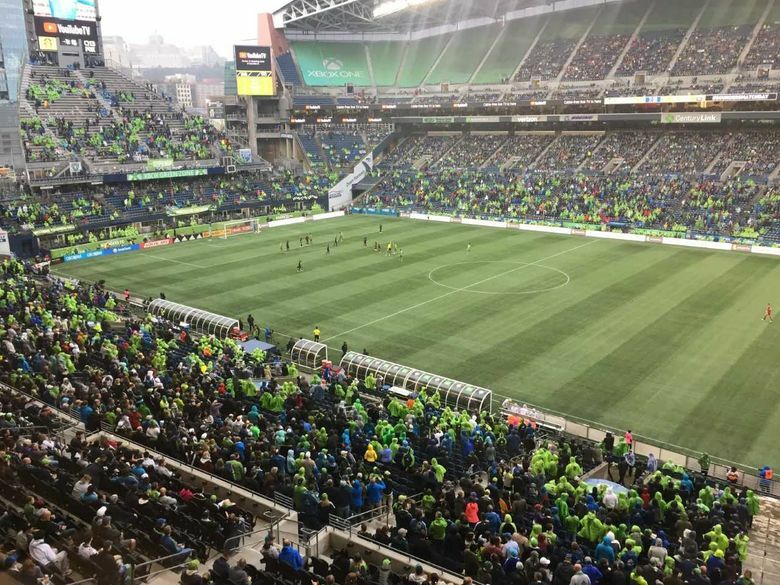 Fred Mendoza, chairman of the Washington State Public Stadium Authority overseeing CenturyLink Field, was the first to bring up the turf, unprompted, in trumpeting how the Seahawks and Sounders home has long been much more than just an NFL venue. Excitement was rippling through U.S. soccer circles after the United Bid by the U.S., Canada and Mexico prevailed over Morocco by a 134-65 vote by FIFA nation delegates in Russia on Wednesday morning. One country voted in favor of neither bid. There had been concerns that the election of U.S. President Donald Trump and previous arrests of FIFA officials in this country on corruption charges might sway the voting Morocco’s way. But those fears proved unfounded and now, the attention shifts to which cities will play host to matches. There have been major international matches and tournaments held on grass at CenturyLink before, most recently the Copa America Centenario in 2016 in which it hosted some opening round matches and a quarterfinal between the U.S. and Ecuador. But laying sod temporarily over artificial turf can have its challenges. FC Barcelona threatened to pull out of a 2009 friendly with the Sounders after team officials doing a walk-through inspection of the temporary grass field the night before the game discovered gaps and cracks in it. The Sounders did their best to tighten up the problematic areas and assuage the Barca officials, who went ahead and played the match. There’s been plenty of time for trial and error in the near decade since and it will still take another two or three years before FIFA gets around to paring down the field of cities. Of the 16 finalists still to be chosen, at least 10 are to come from the U.S. and Seattle is one of only three West Coast locales vying for a spot along with Los Angeles and San Francisco/San Jose. During a question-and-answer session with reporters, the grass issue immediately came back up. Hanauer said there should be more time to prepare the grass surface this time than on previous occasions. A handful of other U.S. bid cities have artificial turf venues, including Gillette Stadium in Foxborough, Mass., Mercedes Benz Stadium in Atlanta, MetLife Stadium in New Jersey and Paul Brown Stadium in Cincinnati. Whether that helps or hinders Seattle’s bid is up for debate. But CenturyLink Field does offer an edge over some other venues in that it’s city-based and not suburban. Hanuaer also said that it’s widely known some of the sport’s strongest supporters are in the Northwest. 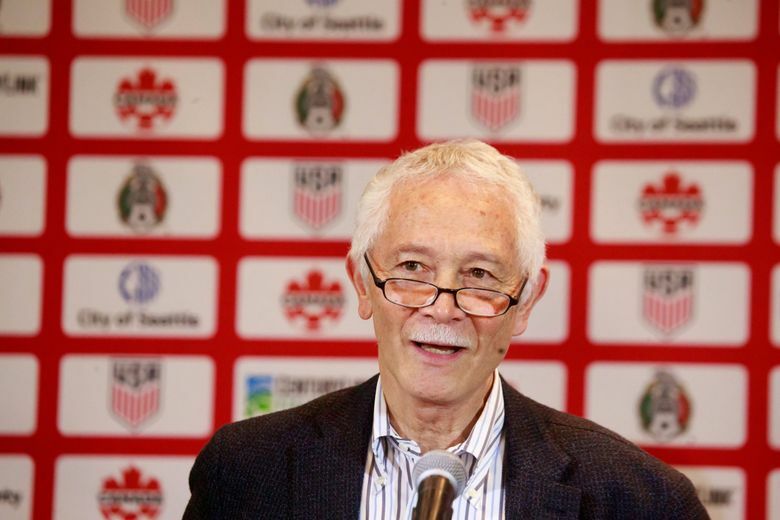 With Portland and Vancouver not among the final candidates, he added, this city is the only one with the opportunity to showcase that aspect of North American soccer. A study of the nation’s best soccer cities, released this week by WalletHub.com, ranked Seattle at No. 3 behind only Los Angeles and Orlando. The study considered things like the performance levels of professional men’s and women’s teams, stadium capacity, ticket prices and fan engagement. But while the Sounders have drawn well, leading Major League Soccer attendance their first eight seasons before finishing No. 2 last year behind a record-setting Atlanta United franchise, it remains to be seen how much FIFA will weigh the domestic league versus international competitions. Our track record for CenturyLink Field attendance at neutral site international matches is more of a mixed bag, with the opening round Peru-Bolivia match at the Copa America Centenario drawing only 20,190 fans two years ago. The tournament’s ticket pricing was heavily criticized and the Seattle crowds for a group game featuring Argentina and then the U.S.-Ecuador quarterfinal both topped 45,000. Still, they weren’t sellouts and it’s possible that could come into play, even though the World Cup is a far more prestigious event known to even the most casual sports fans. As for cost, the civic officials stopped short of making the usual bold projections about how much economic spinoff the event could bring to the region. Instead, they focused more on the likelihood of avoiding cost overruns, noting that much of the infrastructure needed to host the event is already in place or coming. 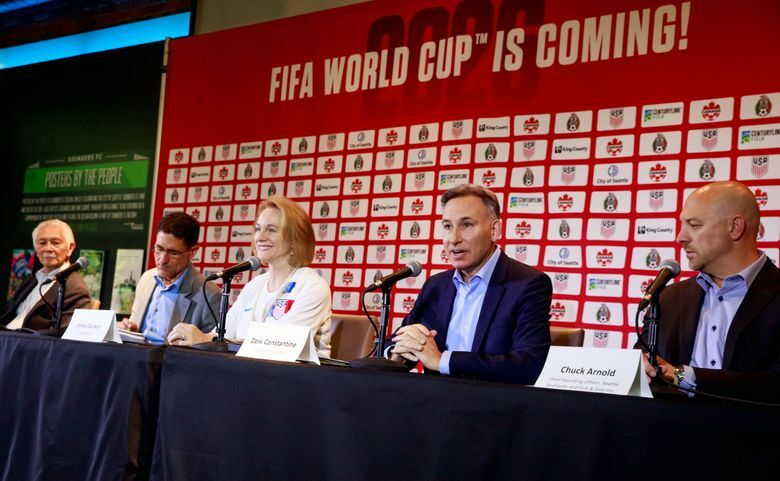 That stands in contrast with cities that withdrew their bids ahead of the vote, such as Chicago, which hosted the opening game of the 1994 World Cup. 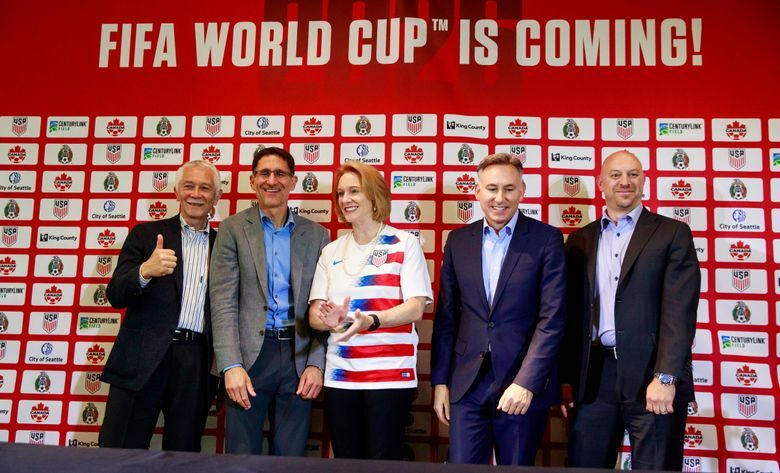 In March, Chicago dropped out of contention, citing “uncertainty for taxpayers, coupled with FIFA’s inflexibility and unwillingness to negotiate,” the Chicago Tribune reported, citing a statement from Matthew McGrath, a spokesman for Mayor Rahm Emanuel. Constantine pointed out that Seattle’s Light Rail extensions from the north and East Side communities are already scheduled for completion before the tournament begins. Also, that ample additional hotel space will be opening up in coming years to accommodate the expected visitor traffic. Durkan agreed that much of the needed improvements are already taking place.